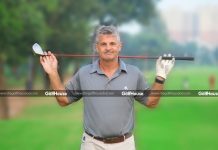 TheGolfHouse his funny memories from the first day he came to the golf course, the intimate association he has developed with the game and the positives he has picked up from playing golf. How and when did you start playing golf? I started playing golf about five or six years back. I used to watch Ten Golf channel where I saw Tiger Woods and other golfers play. That’s when I started loving the game. 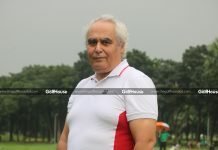 Then some of my friends started playing in Chittagong at the Shaheen Golf Club and the Bhatiary Golf Club. They asked me to join them. In early 2013, I started playing along with my friends Mainuddin, Shoeb, Muzahid & Sharif. This is how I came to golf. What is your golfing routine? Golf is a disciplined game and I have to wake up early in the morning. I perform my fajr salah and then go to Bhatiary Golf Club for a round of golf. I play for around two to three hours. Then I take shower, have my breakfast and go to my office. I play 2 to 3 days a week, especially on the weekends. Sometimes I go to the Shaheen Golf Club. When I come to Dhaka, I go to the Army Golf Club. I love the Kurmitola Golf Club too, but due to the distance I can’t play here too frequently. How was your first golfing experience? It was a funny experience. The first time I played at the Shaheen Golf Club. I played so many awful shots that at least 10 or 15 balls went into the pond. It was really funny and at the same time weird. What was your first iron? It was a nine iron from Taylormade. What are your favourite golf courses? Of course Bhatiary and Shaheen Golf Club are my favourites. As you know I’m an EC member of the Shaheen Golf and Country Club and I’m also the chairman of the media wing. So not for golfing but also for organising tournaments I go to Shaheen. It’s a beautiful place; at one side you will see the Karnaphuli river and at the other side the sea. You can also see some beautiful lash green. Even though it’s only nine-hole, I really love it. Who are your favourite golfers? 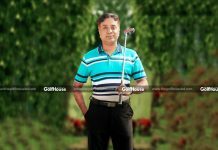 Globally it’s obviously Tiger Woods while locally there are so many good golfers including Jamal and Sohel. But Siddikur Rahman is my favourite in Bangladesh. Which aspect of the game attracts you most? Golf is a royal game. 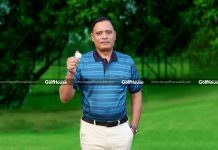 I’ve grown up watching the pioneers of Chittagong playing golf. 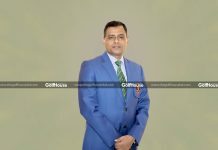 I’ve seen Mr. Salman Ispahani, Mr. Mia Mohammed Rahim, Mr. Isa Badshah playing golf. It’s really good to see the senior peoples in the game. At the same time inspired by them, now we see young people like us in golfing. And obviously It’s a good place for building network and fellowship as well. Your memorable experience in golf? The moonlight golf tournament that we hosted at the Shaheen Golf Club in 2015. It was played under full moon and without any artificial lights. It was a memorable occasion. Tell us a bit about yourself and your company? I’m a Real Estate professional & have been in this industry for more than 15 years. Currently I’m working as the CEO of Ranks FC Properties. I personally feel that we can do a lot more in real estate sector to contribute to the national development. This industry is contributing around 10% to 12% of the national GDP. There are around 1200 REHAB members working around to build a beautiful Bangladesh. I feel this is a strong industry & evolving faster. And I’m proud to be a part of this industry. How does golf help your business? A lot. Business thrives on networking and fellowship. When I go to golf I find lot of friends, senior people from different industries. When you build a relationship, it matters in the long run. I always owe a lot to golf clubs and I feel I took a very good decision by joining golf. What is the lesson that you learned from golf that you could relay to the youth? I learned many things from golf. Discipline is a wonderful thing you can learn from golf. I like colourful life and golf offers you lot of colours. The green, the colours of the golf attire and everything else lends a fresh vibe to you. I would ask young people to come to golf to learn many things. And I strongly urge to the golf clubs to make Golf affordable for the young people ! 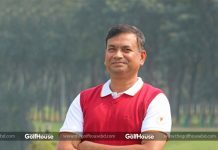 Wishesh from Kedar Lele | TheGolfHouse Celebrating 3rd Anniversary.